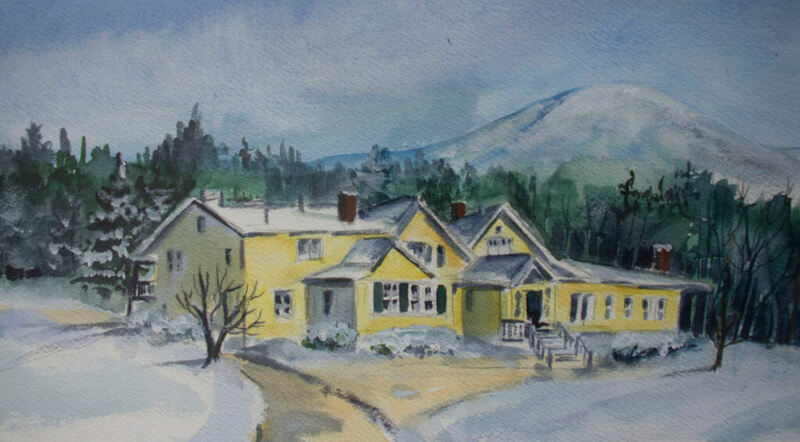 Named after the Vermont State Flower, the Red Clover Inn & Restaurant has a rich history of providing warm and sophisticated accommodations paired with locally-sourced fine dining. Once a summer retreat and horse barn, the Red Clover thoughtfully combines Tyler family hospitality with timeless Vermont charms, a unique experience for travelers from both near and far. Explore the different periods of Red Clover’s history below! The Ripley family of Rutland, Vermont purchased the land for a summer retreat and 200-acre farm in 1849. Nearly 75 years and several owners later, General F.J. Woodward purchased the property. After years of world-wide travel in military service, the Woodwards were happy to settle down in the beautiful Killington Valley, with fresh air, forests, streams, and mountains to explore with their children and grandchildren. Eventually, the Woodward family moved on and the farm fell into neglect. The area was so remote and unattended that a monk, who wrecked his private plane in the mountains near Killington, was passed over by a sizable search party even though the wreckage was only 30 feet from the old farm. Later on, the Montgomery family brought life back to the property with their SATCO lodge in the 60’s and 70’s. Their five adopted children from around the world grew up at the Lodge. The Tallagnon family purchased the property in 1977. As enthusiastic equestrians, they added the Carriage House and Farmhouse and made good use of the barn. They named the property after the delicate purple-red flower that graces Vermont’s fields early in the summer, distinguishing the landscape. Some long-used dinner recipes come from Tallagnon family. Purchased and tastefully updated by the Tyler and Hill families in 2009, the Red Clover has become a foodie destination for warm & cozy Vermont retreats, attracting both Vermont neighbors and travelers from across the globe to experience the peace and beauty of the Killington Valley.